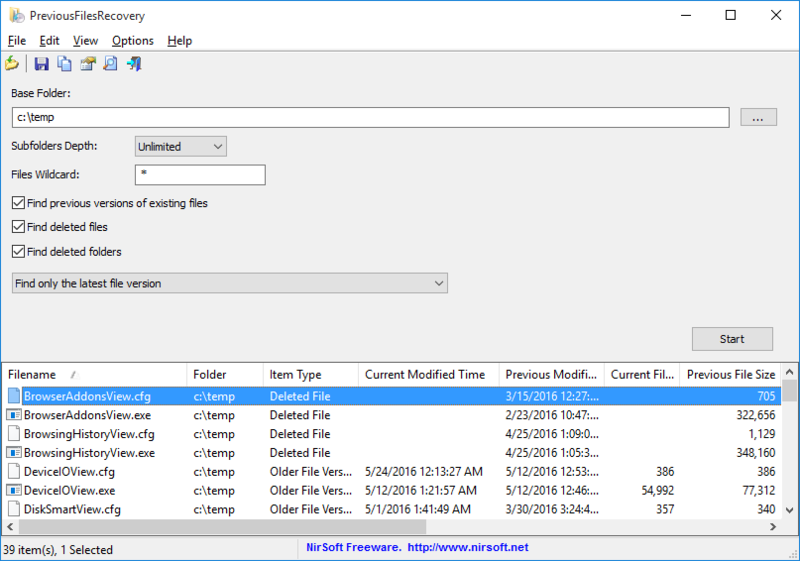 PreviousFilesRecovery is a new tool for Windows 10/8/7/Vista that allows you to scan the shadow copies of your local hard drive and find deleted files as well as older versions of existing files. For every file found in a shadow copy, PreviousFilesRecovery displays the following information: filename, folder, the current modified time and size of the file comparing to the modified time and file size inside the shadow copy, shadow copy name, and the date/time that the shadow copy was created. If the file you need is found in the shadow copies of Windows, you can easily recover it by copying it into existing folder on your drive. Posted by NirSoft on July 14, 2016 at 2:03 am under Utilities Update.